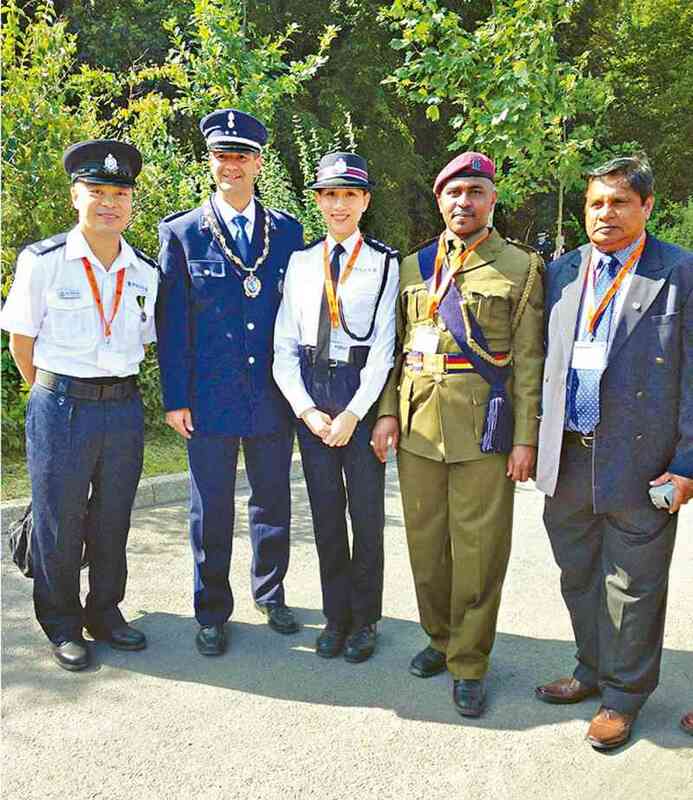 The Development Secretary of the International Police Association (IPA) Hong Kong Section, Chief Inspector (CIP) Wong Ping-ping, and the Membership Secretary, Station Sergeant (SSGT) Lok Shing-cheong, attended the 39th International Executive Council Conference of IPA in Potsdam, Germany, as delegate and observer respectively on behalf of the Hong Kong Section from September 2 to 7. About 120 police officers from over 60 countries attended this annual forum to discuss and endorse the association's major issues. Apart from discussions and presentations during formal meetings, professional knowledge, policing experience, culture and friendship were also exchanged. The conference is a good platform to enhance the liaison among members of various police forces and promote the image of the Hong Kong Police Force. Both CIP Wong and SSGT Lok gained a great experience from the five-day conference. The largest and oldest worldwide fraternal police organisation, IPA was founded in 1950. Its objectives are to forge cultural relations among members, broaden their general knowledge and exchange professional experiences. The Hong Kong Section has more than 800 members since it was set up in 1960. Membership is open to officers at all ranks, regular and auxiliary, serving and retired, as well as civilian staff.